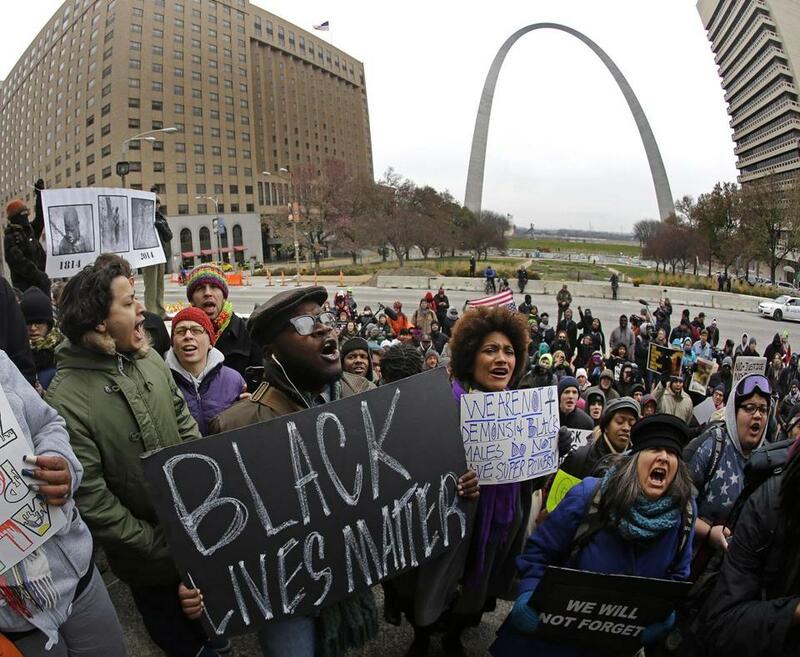 Protesters demonstrated on the steps of the Old Courthouse in downtown St. Louis against a grand jury’s decision not to indict a white Ferguson police officer who fatally shot an unarmed black teen. The institution of the grand jury, a hand-me-down (like virtually all of the state criminal justice systems throughout our nation) from medieval England, is gaining much-needed attention as a result of its use in the Ferguson, Mo., case in which police officer Darren Wilson shot 18-year-old Michael Brown to death. Those who disagree with the outcome — the grand jury refused to indict the officer on any of the five potential charges — are already accusing St. Louis County prosecutor Robert McCulloch of sweeping out the case without taking personal responsibility for the prosecutorial decision. Indeed, McCulloch took the exceedingly rare step of not explicitly asking the grand jury to indict; typically prosecutors act as puppeteers, controlling all of the evidence and testimony presented to the grand jury and directing them to indict on the most serious possible counts. While the grand jury’s decision not to indict may, to some, taste of injustice in this particular case, one should always be wary of wishing for a more zealous prosecutorial approach that infantilizes citizens and robs them of their rightful role in deciding who should, and should not, be charged with serious felonies. In fact, the role played by the grand jury in Ferguson demonstrates the wisdom of our English common law forebears, and poses a challenge to courts and prosecutors nationwide who in recent decades have turned this one-time citizens’ shield against prosecutorial abuse into a sword aimed at the heart of liberty. The Ferguson case will, quite properly, occasion much soul-searching. Far too many municipal and state police forces around the country have a long and sorry record of abusing minority communities. The gamut of abuse ranges from the relatively minor (so-called “driving while black,”), to the more intrusive (“stop-and-frisk” has been a subject of intense debate and litigation, especially in major cities), to the scandalous over-incarceration of, especially (but far from exclusively), African-American males, to the ultimate life-and-death situations, such as the killing of Michael Brown in Ferguson. District Attorney McCulloch wisely (even if out of self-preservation) allowed the Ferguson grand jury to take the initiative that at one time was common for these bodies of citizens. The available witnesses were paraded before the grand jurors, testified under oath, and made themselves available for questioning by the citizens. The proceedings were recorded. Contrary to common grand jury practice throughout the country, where police officers and agents “summarize” for the grand jurors the testimony of witnesses they’ve interviewed, the grand jurors themselves got to see and hear the witnesses. Perhaps the most radical aspect of this proceeding — but one that should be par for the course in state and federal grand jury practice — is that McCulloch made a decision to release not only the verbatim testimony, but also the documentary evidence heard and examined by the grand jurors. In federal cases and in many states it is illegal for grand jury testimony and evidence to be released to the public, as the proceedings are kept under seal. McCulloch’s transparency allows the news media and the citizenry to rationally make a determination as to whether he tilted the proceedings in favor of Officer Wilson, wanting to do a favor for a cop in trouble and maintain relations with a police department upon which he so heavily depends. The release of these grand jury hearings is the exception rather than the rule, since prosecutors almost invariably fight to keep such proceedings secret. Sunlight, to cite Justice Louis Brandeis, is the best disinfectant. 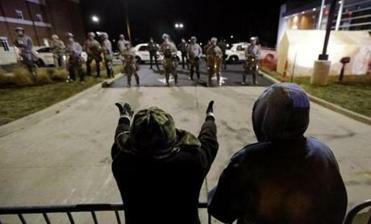 There are two lessons to be learned from Ferguson, if we are wise enough to understand and act on them. First, grand juries should be relied on more, not less, especially in cases that arouse popular suspicion, passion or cynicism. Grand jury reforms should be enacted, on both the state and federal level, requiring that grand juries proceed in much the manner that McCulloch ran the St. Louis County grand jury, with an impartial prosecutor, the lawyer representing the target if the lawyer requests to be present, and with full transparency at the end of the process. For those upset by the Ferguson decision, they should know that this sort of grand jury reform will almost certainly result in decreasing the conviction of the innocent and, not so incidentally, lowering the incarceration rate of, among others, many young, black men who now populate our prisons at such a disproportionate rate. Second, the race problems that permeate so many police-citizen interactions nationwide require us to closely examine these systems, and introduce the necessary reforms and remedies. In the Ferguson case, it means that the US Department of Justice should continue to investigate the Ferguson Police Department as a whole for unconstitutional policing. There is a reason that so many African-Americans, and other skeptical citizens, quickly jumped to the conclusion that Wilson’s actions constituted an unreasonable response to the situation he found himself in, not a mistake, not a good-faith overreaction, but rather some degree of murder. The Justice Department’s Community Relations Service continues to confront this gulf of trust between the community and law enforcement in Ferguson, but this work will be for naught if our police forces continually treat citizens, or at least some citizens, as threats, and their communities as war zones. These two steps, if they are pursued with vigor and in good faith, can help effect the kind of legal, governmental, and social changes that are long overdue in Ferguson and just about everywhere else in our nation, nearly 150 years after the end of the Civil War. To paraphrase Lincoln at Gettysburg, it is our duty to see to it that Michael Brown, regardless of where the fault lay, did not die in vain. Harvey Silverglate is a Boston criminal defense and civil liberties lawyer. He is the author of “Three Felonies a Day: How the Feds Target the Innocent.’’ Timothy Moore contributed to this piece.